Questions around 'the body' are central to social theory. Our changing understanding of the body now challenges the ways we conceive power, ideology, subjectivity and social and cultural process. 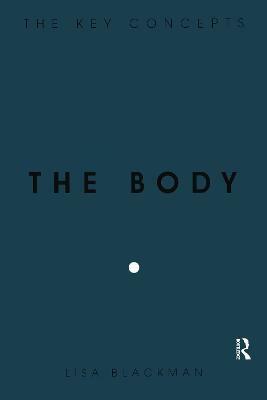 The Body: the key concepts highlights and analyses the debates which make the body central to current sociological, psychological, cultural and feminist thinking. Today, questions around the body are intrinsic to a wide range of debates - from technological developments in media and communications, to socio-cultural questions around representation, performance, class, race, gender and sexuality, to the more 'physical' concerns of health and illness, sleep, diet and eating disorders, body parts and the senses.The Body: the key concepts is the ideal introduction for any student seeking a concise and up-to-date analysis of the complex and influential debates around the body in contemporary culture. Lisa Blackman is Senior Lecturer in the Dept of Media and Communications, Goldsmiths College, UK, and is author of Hearing Voices: Embodiment and Experience and co-author of Mass Hysteria: Critical Psychology and Media Studies.